It’s been three years since Weezer’s last studio effort Hurley was released to a lukewarm critical reception. After talk of their latest return to the studio being fuelled by a intent on returning to the glory days of Pinkerton and their affectionately labelled Blue Album; is this the record fans have been waiting for? Straight away, the opening track Ain’t Got Nobody is a pleasantly surprising throwback to 2001’s The Green Album, a soft rock anthem to kick off the proceedings. Tracks two and three are a real treat for any long time Weezer fan. The songs are interesting, unconventional slices of 1995 Weezer that were thought to be lost in the ether. The self referential lyrics to Back To The Shack are a sly apology to all fans that stuck with the band through thick and thin. Eulogy For A Rock Band may well have the most infectious chorus on the entire album, and of any albums in the past. This is a song that could fit comfortably with the bands sophomore release Pinkerton. It really is that good. The hat-trick is unfortunately brought to a brief close as Lonely Girl brings the release back to the more plodding, pop-punk direction of recent efforts. The track is solid, but when compared to the first three songs, it’s forgettable. However, it doesn’t take long before the album dishes out it’s true gems. I’ve Had It Up To Here & The British are Coming are true game changers. 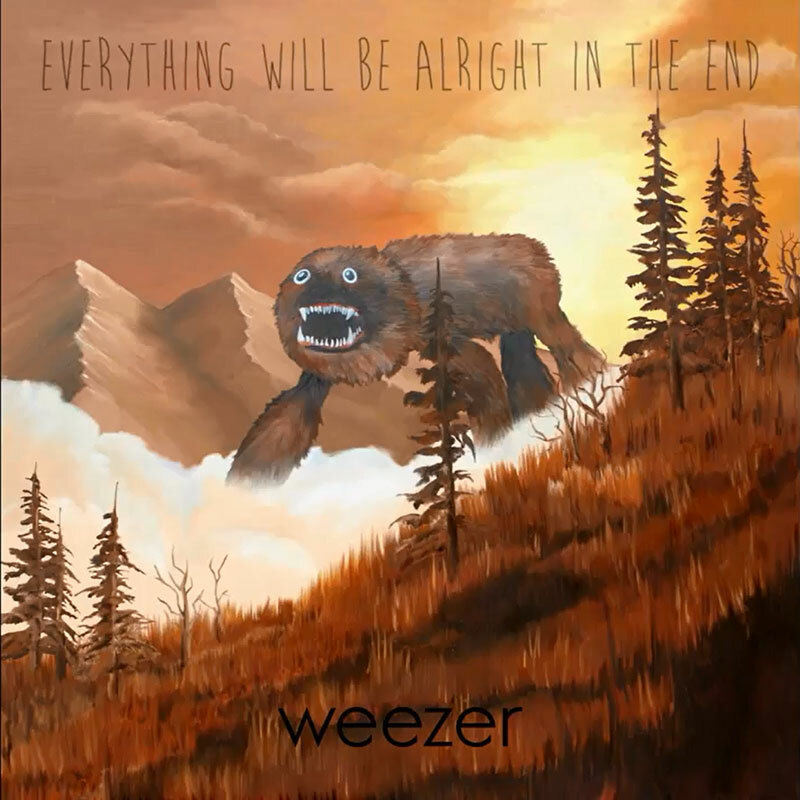 True aural treats from start to finish, with vocalist Rivers Cuomo being given a real chance to shine through his truly enviable falsetto range and infectious guitar work. These two songs really would sound at home with the best of Weezer’s work, and it shows. From here on, the album doesn’t let up. Da Vinci is features some of the most intricate lyrical content on the disc, with witty reference to obscure American cultures and and popular culture being played to full effect. Go Away is a surprisingly deep composition that rewards multiple listens, allowing the listener to appreciate the call and response exchange between Cuomo and guest vocalist Bethany Constantino. Cleopatra & Foolish Father are more great pop-rock tracks, both featuring catchy choruses and a fantastic performance from the rhythm section, with the latter containing a surprise string section sure to catch anyone off guard! To close the album, Weezer have decided to go down the route of using three seperated tracks each labelled I, II, and III respectively. This is the first time I personally have ever found this to be effective, with each part playing into the next and giving the listener something fresh each with each transition. So, is this the album fans have been waiting for, clambering for? Well, I am a very, very big Weezer fan. We have had to endure the painfully dull Maladroit, the downright insulting Make Believe, and more mediocre efforts since then. The Red Album was a strong effort, Hurley was decent and Raditude was a guilty pleasure. But with Everything Will Be Alright In The End, we can welcome back an old friend. Welcome back, Weezer.